Can I Undelete Lost Photos from the iPhoto Library on Mac? I wanted to delete duplicate photos on iPhoto. But somehow, all my photos disappeared from iPhoto. I really have no idea what happened to iPhoto? Hope that someone can tell me how to recover photos from iPhoto. Many thanks! Frankly speaking, iPhoto library photos can be lost due to human errors, for example, deleting pictures from iPhoto by mistake. Besides, iPhoto problems can also cause photos to be gone, such as iPhoto crashing, iPhoto not responding, iPhoto update failure, quiting unexpectedly, etc. "Can I get deleted pictures back?" You can get the YES answer from us. Moreover, we can also tell you how to recover deleted photos from iPhoto library on Mac. 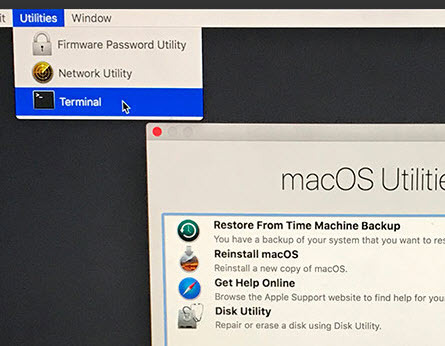 Three methods are provided here, among which we recommend using an Mac photo recovery program for the job. There are a number of iPhoto recovery software in the data rescue market. Recoverit Data Recovery for Mac stands out, as it features advanced photo recovery technology, all-around scan ability, user-friendly interface and simple recovery process. With the powerful Mac iPhoto recovery software, you're able to recover deleted photos on Mac within minutes. No matter when and how your photos disappeared from iPhoto library, Recoverit allows you to restore iPhoto library photos by 3 steps. Recoverit Mac Photo Recovery makes iPhoto recovery much more effective in deleted photo recovery and better guaranteed in picutre security. To recover deleted photos, all you need to do is following the below steps and doing a few clicks. Now, download the software and start iPhoto recovery. To recover deleted photos from iPhoto library, you need to run Recoverit iPhoto Recovery, select the iPhoto file location and click "Start" to process. An all-around scan will be commenced immediately. 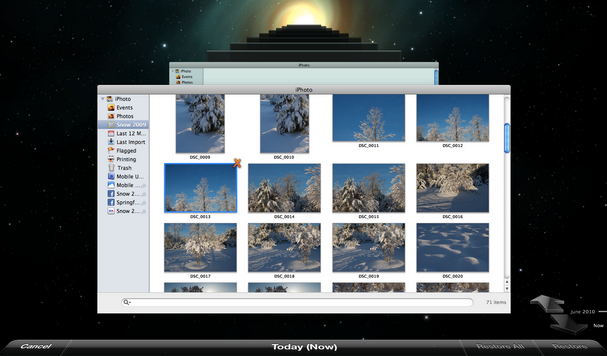 All the phtos gone from iPhoto library will be shown to you gradually. After the scan, you can filter the iPhoto pictures and preview the deleted pictures. 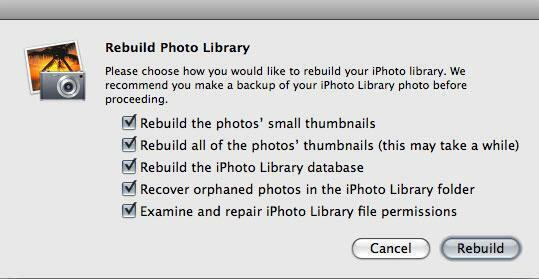 Select the wanted ones and click "Recover" to restore iPhoto library. To increase the chance of iPhoto recovery, it is better to always keep the tips in mind. Do not download and install Recoverit on the same partition where iPhoto library files are stored. Once you lost photos from iPhoto library, stop saving new data on the hard drive, avoiding photo overwritting. Do not save the iPhoto library recovered photos on the original hard drive or partition. If you want to recover deleted photos from iPhoto library without software, you can resort to the below two methods. But there are some limitations of these methods. For example, if you emptied the Mac trash, it is impossible for you to restore deleted images from trash. If your photos were accidentally dragged to the iPhoto trash and you could not drag them back to Mac desktop, you can go to your iPhoto trash, select those deleted photos and right click to select "Restore to iPhoto Library". Your iPhoto trash photos will be retrieved easily. If this method does not help, Recoverit Mac Photo Recovery can assist you. Turn to Part 1 and recover deleted pictures on Mac. First, quit iPhoto and re-open it. Press and hold the Command and Option keys when you click on the iPhoto icon. A dialog box will appear with rebuild options. Choose the options that you would like to use to rebuild the iPhoto library. To avoid the same data disaster happening once again, you can take photo backups from iPhoto library to iCloud or an external hard drive. In this section, we will show you how to backup iPhoto to an external device. Quit the iPhoto app if it is already on. 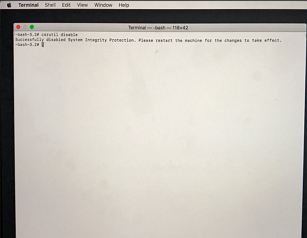 Connect the external device to your Mac. Navigate the iPhoto folder location: Finder > Pictures > iPhoto Library. 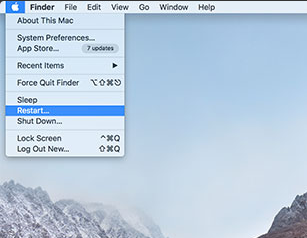 Move iPhoto Library files to external device by dragging or copying them. All in all, once you find photos lost or accidentally deleted from iPhoto library, you can always resort to Recoverit for Mac to help you start iPhoto recovery safely and recover deleted photos quickly. By the way, to avoid another data loss, follow the above steps to backup iPhoto photos regularly.